As a result of Hurricane Harvey there have been people reaching out to me to put on a race to raise money for those that need it. When I put on the Japan Relief 5k at the request of the Stoney Point High School seniors I learned firsthand that throwing together a race doesn’t always help in a big way. Plus September is already a very busy race time. 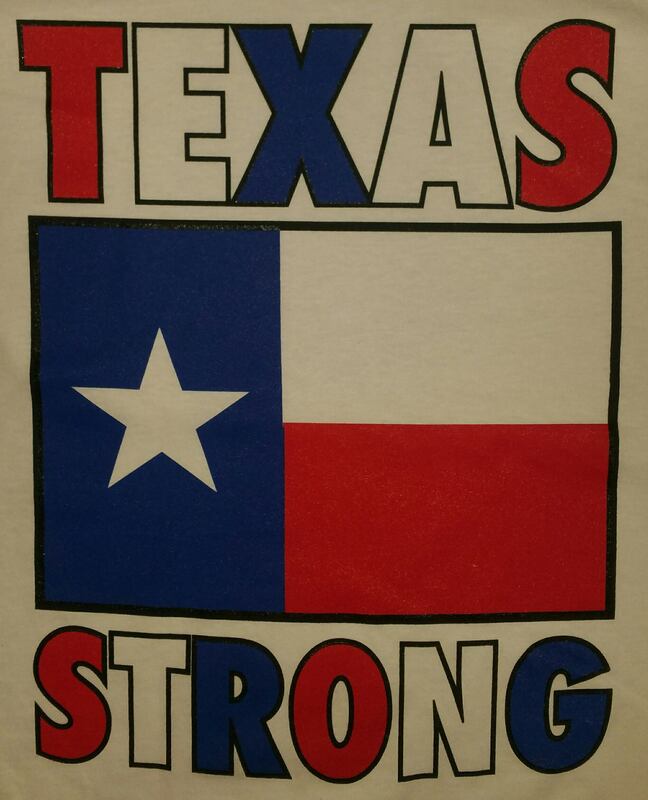 Therefore, starting at the September Vern’s No Frills 5k, we will sell Texas Strong t-shirts for $15 and $10 will go to the Rebuild Texas Fund. You probably heard that the goal is to raise $100 million with $36 million already from the Michael and Susan Dell foundation. I will have shirts with me through October’s Vern’s No Frills 5k and working on a way to do sales online. There is the possibility of going with tech shirts, but I need to see how this goes with the cotton ones. Appreciate your help at spreading the word. Remember there are a lot of Texas cities besides Houston that need help. You can also pay for shirts using the Link to Paypal.